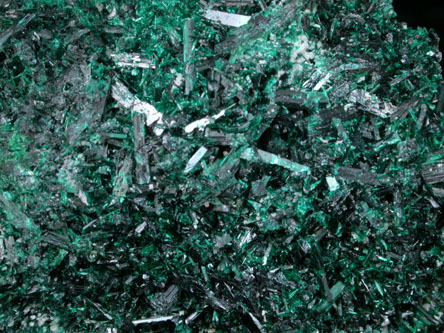 Description: Sparkling crystalline mass of acicular transparent green brochantite crystals. 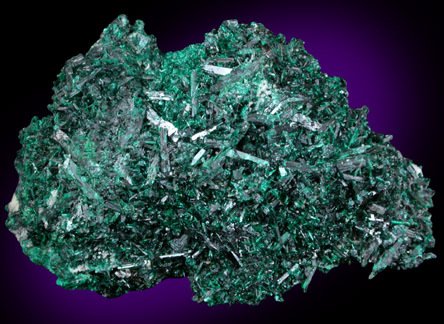 The brochantite looks beautiful under magnification where the deep color and transparency is most visible. 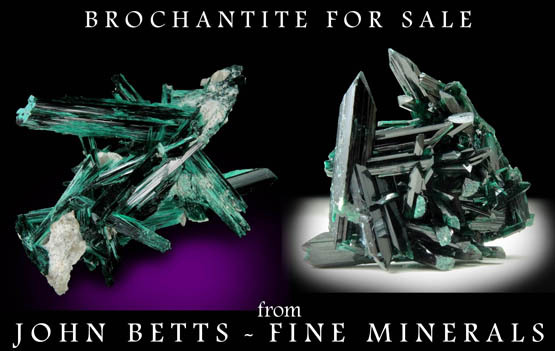 Brochantite is highly sought after from Bisbee.